When her mother, Nina, committed suicide by jumping from her apartment window, Kathy Leicher made the decision to move into that same apartment as a way of keeping her mother close. Amongst all of Nina’s belongings was a box of audio tapes which Nina had recorded over the years – a form of journal to chronicle her long struggle with bi-polar disorder, and her thoughts and fears throughout that difficult battle. Unable to listen to them at the time, Kathy put the tapes away in a closet, and for the next 16 years, worked to find a way in which she could hold onto her mother’s memory, while also moving on and raising a family of her own. Here And Now is the director’s vision of tackling some heady subjects – death, loss, grief, mourning, sickness, healing – life itself, in many ways. 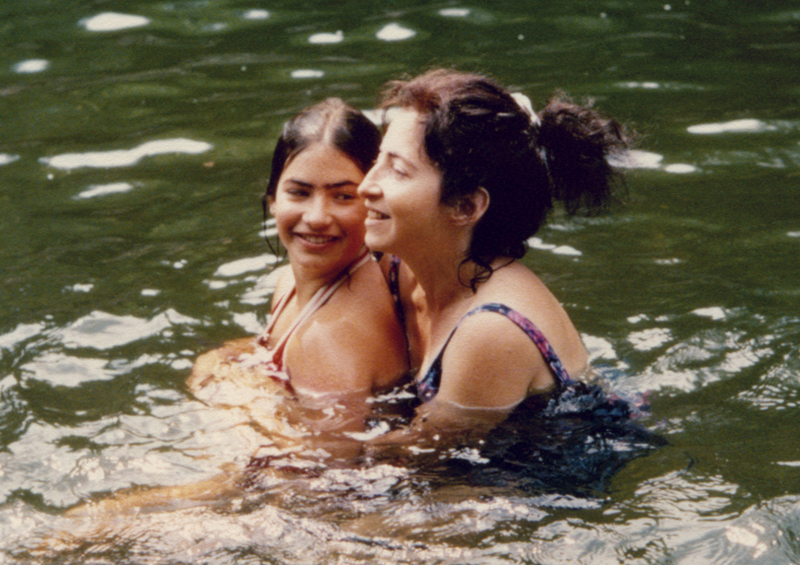 But the film is also a daughter’s love letter to her mother, and in her journey to healing herself and her remaining family from their tragic loss earlier in life, Leichter has managed to not only put her journey on film, but also to allow her mother to tell her own story of struggle and life – and in her own words. Shooting a mixture of family interviews and quiet reflections, Leichter adds in clips of her mother’s audio tapes, as well as old family photos and videos, to create an almost visceral experience in the viewer. The film becomes, for example, more than a daughter’s memories of her mother, by adding in other points of view, including the words of Nina herself. 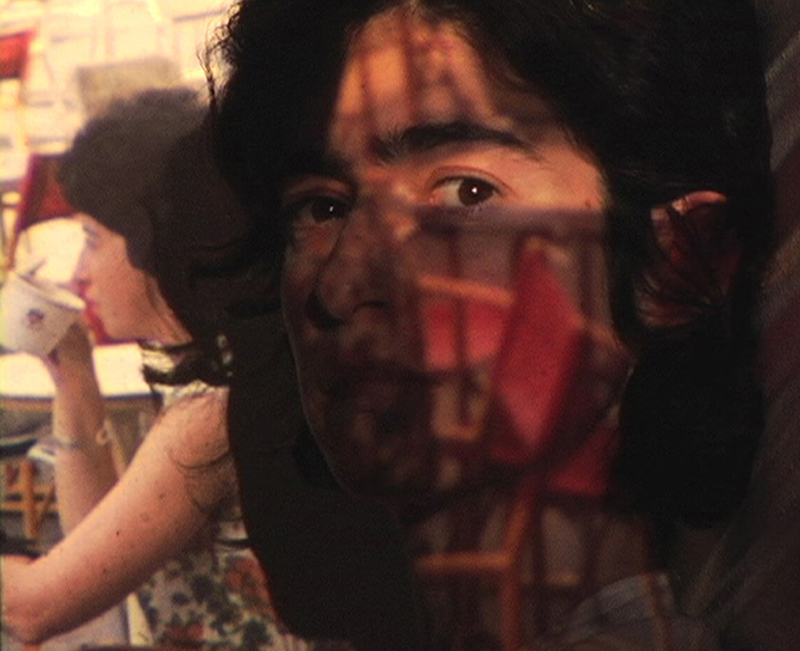 Nina Leichter grows into more of a complete and near-present person just by the way all of the separate pieces of her existence have been brought together in the film. The rest of the Leichter family, while appearing to grow and move on through the years after Nina’s long illness and eventual death shattered them all – as evident even from the beginning of the film – struggles to find a way past the tragedy. Their every day lives appear “normal”, and everyone goes through the motions of what they are “supposed” to be doing. But in each one of the survivors, a part of them died with Nina, and a form of almost emotional detachment or stagnation set in, instead. Kathy remembers trying to help her mother, and be there for her, even as a young child, so that her mother wouldn’t leave. Yet her mother, too, was worried constantly about losing her husband, or the affections of her children. A great need was present in all of them – a need to feel safe, a need for attention, a need to feel loved. Everyone requires these things, of course, but it seemed that Nina’s illness caused her to only feel them occasionally – fleetingly – and the rest of the time was spent trying to fill her back up with those emotions again. When she was gone, the rest of the family perhaps just didn’t know how or where to express and put those emotions anymore. In the process of finally listening to her mother’s tapes, however, and through the making of this film, Kathy Leichter has crafted the journey to healing at last – both for herself and the rest of her family. They had some long-overdue conversations and realizations just by talking about things they hadn’t really discussed before, and even just watching Kathy on screen and comparing that woman with the director standing before us during the post-screening Q&A, it’s clear that she has come a long way from where she was when she decided to start this journey. I believe that Kathy Leichter – and perhaps the rest of her family, too – can now breathe again. Follow the film and join Kathy’s community at the links below! Previous Post Join The Fight To Save Bomb Girls!! !